Crisp navy thermography printing on gorgeous white linen card stock. 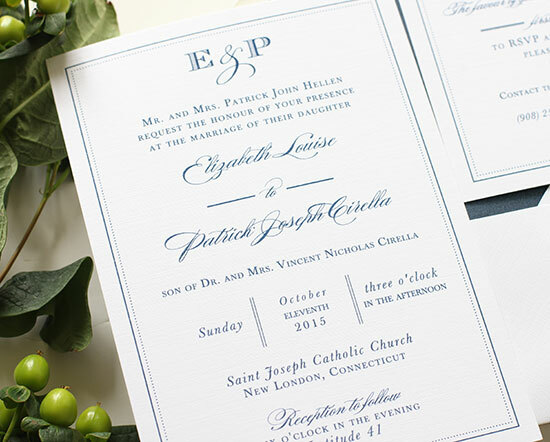 That's just a few of the elements that make this classic monogram wedding invitation so regal. We paired our traditional border design with the fun & modern style of our Kathryn design to create this elegant wedding invitation suite. 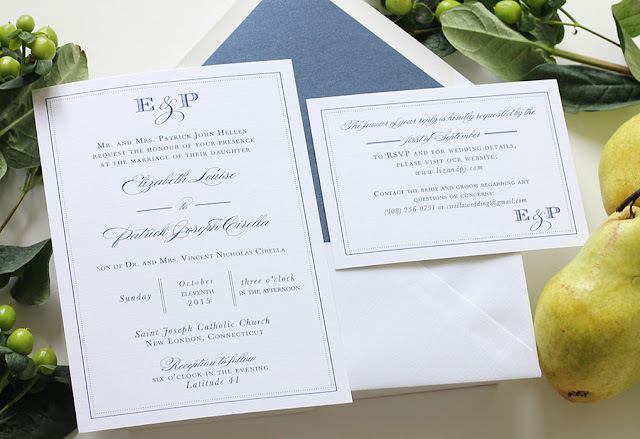 This invitation suite is perfectly balanced with a bold modern monogram header and flowing script detailing. Navy has been a hugely popular color for wedding invitations and I'm sure you can see why.... it's elegant, traditional & crisp.